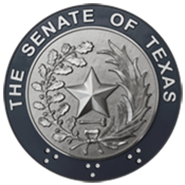 AUSTIN, TX - Today, the Senate Committee on Property Tax voted 4-0 to favorably report Senate Bill 2 (SB 2) to the full Senate. Senator Juan "Chuy" Hinojosa was present, not voting on SB 2, otherwise known as the Property Tax Reform and Relief Act of 2019. "While I support 97.5% of this bill, I cannot support the other 2.5%. Specifically, I cannot support the 2.5% "voter-approved rate" currently in SB 2. While the existing 8% rate is too high, the 2.5% rate is too low and would jeopardize the ability of local governments to provide crucial services to their communities. The largest budget expenditure by local governments is public safety. On average, 60% of their budget supports our police officers and firefighters. With a 2.5% cap, SB 2 could hinder our local governments' ability to keep our communities safe and to fund other necessary services and infrastructure. I look forward to continue working with my colleagues to find consensus on a fair and equitable solution that improves the property tax and appraisal process without hindering our local communities' ability to fund public safety, education, indigent health care, and the infrastructure needed to continue Texas' prosperity."